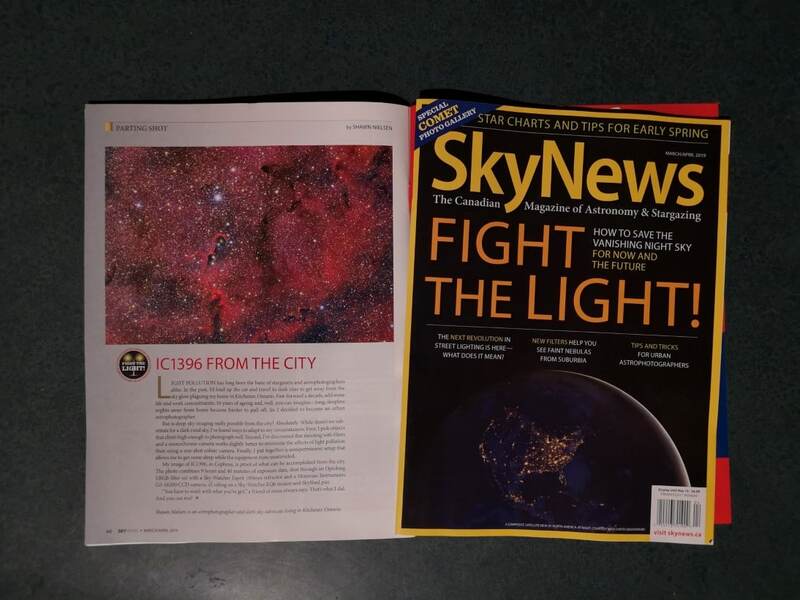 Super exciting to have my Skynews Magazine astrophotography article featured on a 4-page spread in the November-December issue. 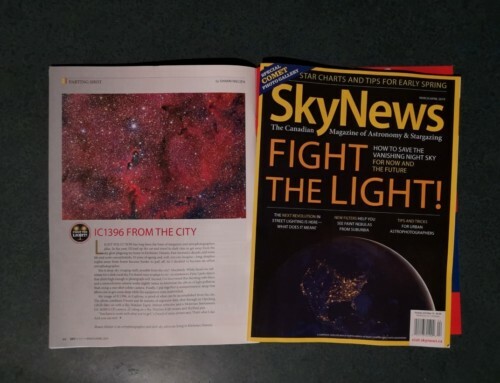 While I’ve known about this upcoming for several months, it’s always exciting to see your work in print and circulated around the Country to subscribers and on news stands. 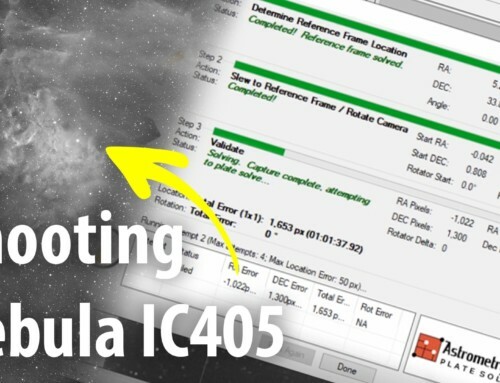 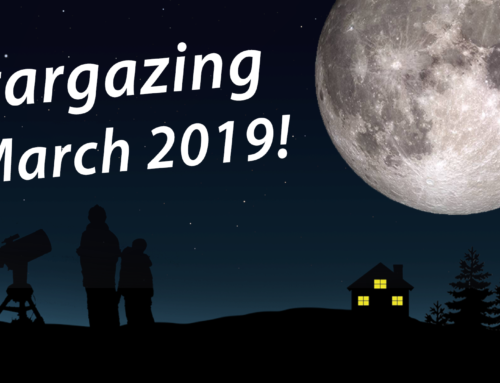 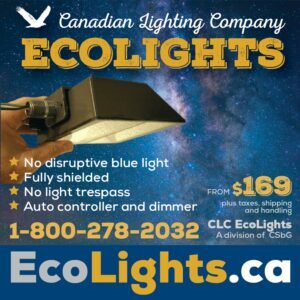 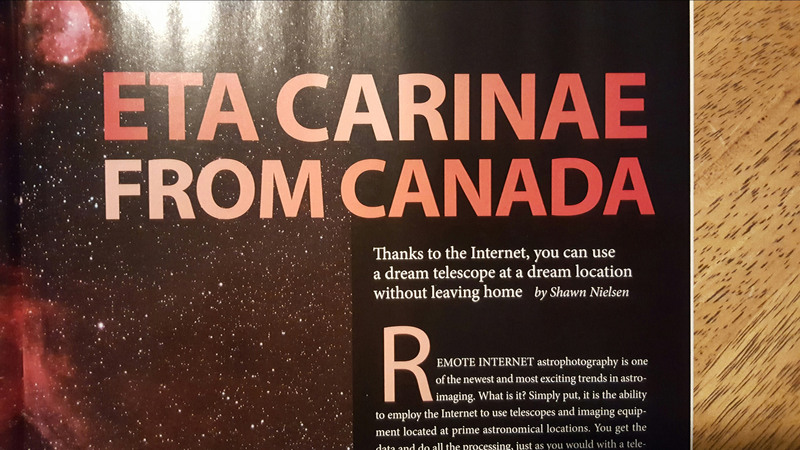 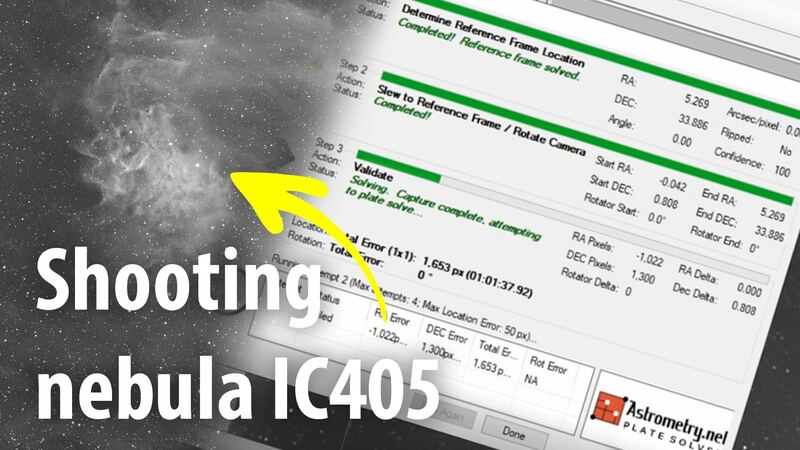 The skynews magazine astrophotography article is entitled “Eta Carinae from Canada” discusses my adventures in remote internet astrophotography. 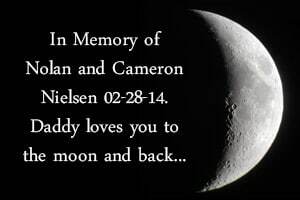 It’s something I contemplated trying over the last few years and just this year took plunge. 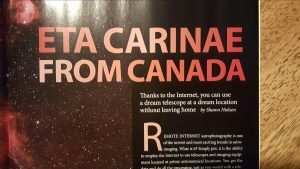 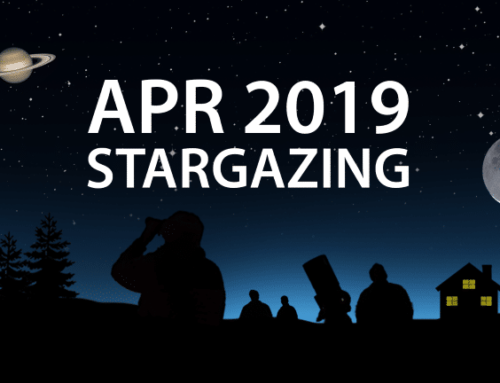 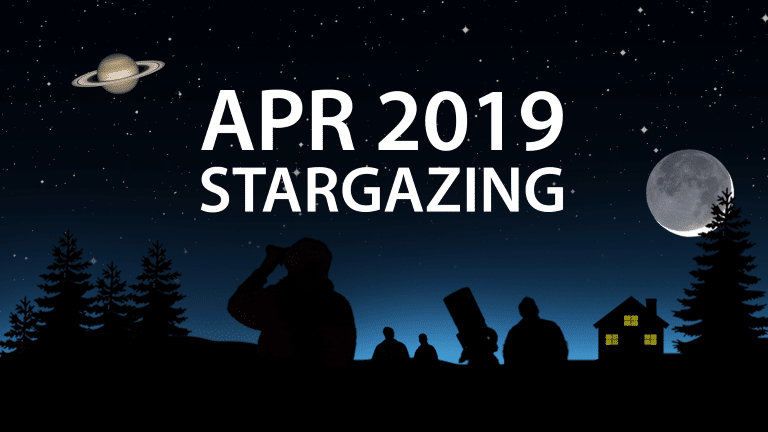 Part of the motivation to expand into remote internet astrophotography was the cloudy season that besieges southern Ontario from late November to March typically. 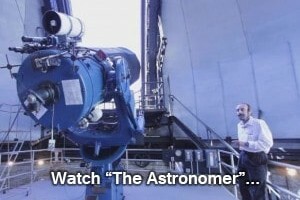 That combined with friged -20 or more temperatures when it was clear, had me take another look. 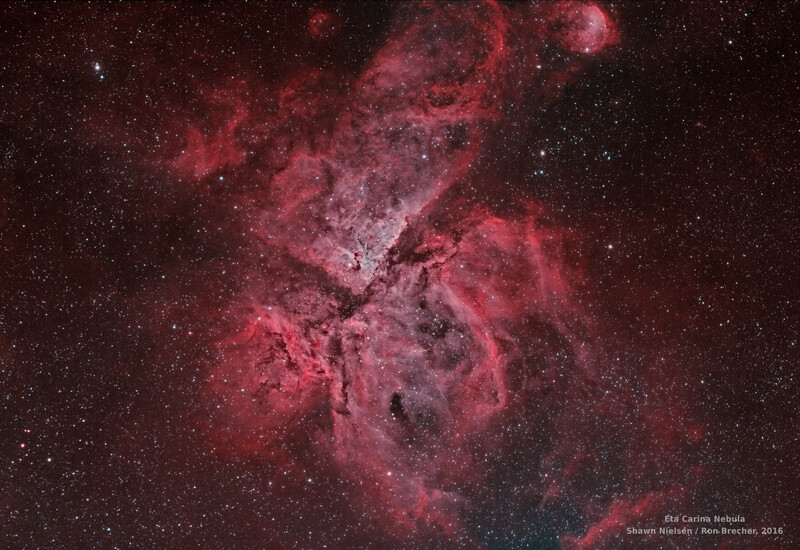 I captured some amazing images and even a once in a lifetime image of a nebula and comet pairing. 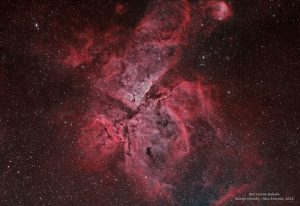 The images were taken with fabulously expensive telescope and camera equipment from pristine dark sites at high elevations around the world. 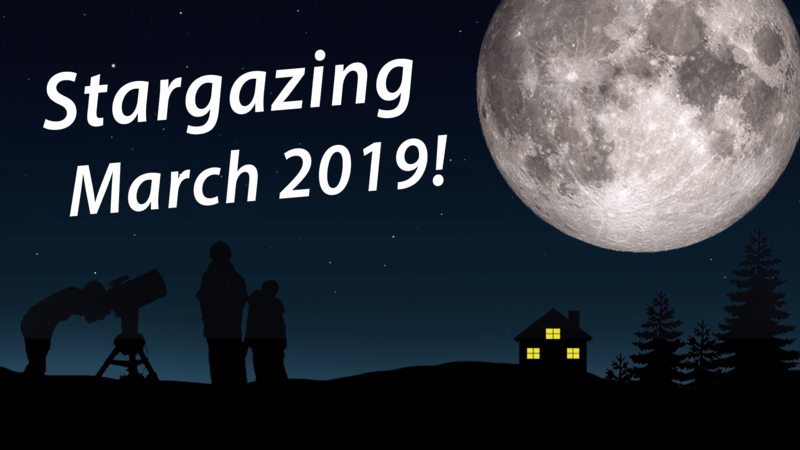 I even had the opportunity to share the data with a colleague and together we enjoyed processing a couple of the images on a cold snowy night this past February. 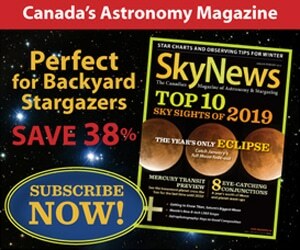 If you’d like to read more about my story and experiences with remote internet astrophotography, please visit Skynews.ca to get your digital copy of the Nov/Dec issue or visit your local news stand/magazine rack near you.